The new MDM50 portable hygrometer from Michell Instruments gives rapid dew-point measurements in compressed air – T95 to -35°C from ambient typically in less than 5 minutes. It has been designed to make spot checks of dew point in air and gases as simple and fast as possible. The key to the MDM50’s measurement speed is the new generation of sensing element, which also provides long-term stability and resistance to chemical contamination, making the MDM50 suitable for use in industrial settings where contamination could be an issue. As well as the chemically-resistant sensor and integrated particulate filter, the enclosure is rated to NEMA 6 (IP68) when the lid is closed. To ensure simple operation, the MDM50 is fully self-contained with an integrated sampling system within the compact case. 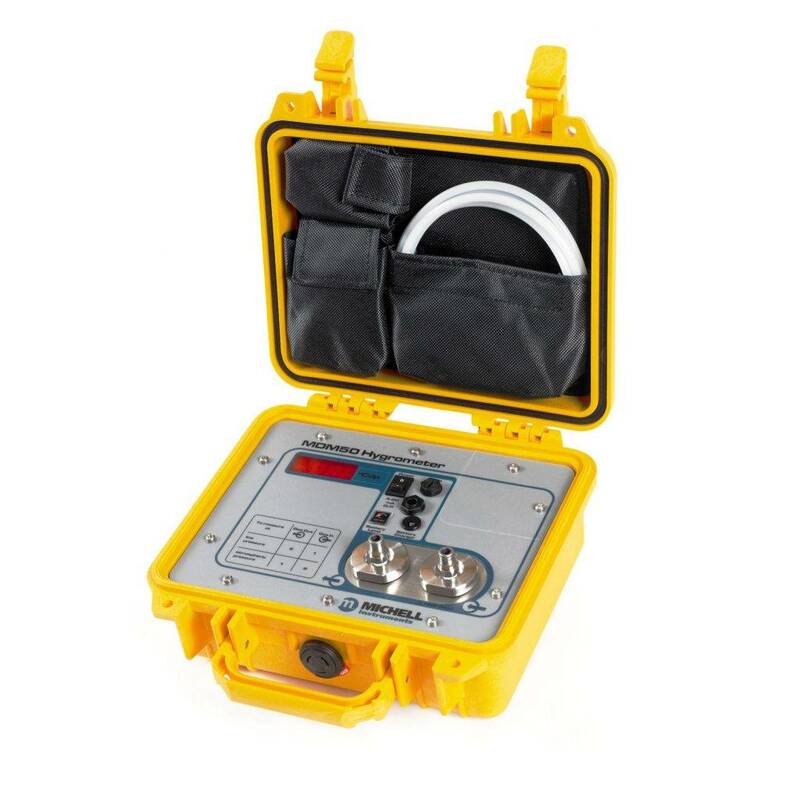 Taking a measurement involves connecting to the sample gas with a Quick Connect or optional Swagelok tube fitting and turning on the instrument: the MDM50 automatically starts to measure the dew point of the sample gas. As well as its simplicity, the MDM50 is a practical instrument, offering a wide measurement range of 50 to +20°C dew point. It is light (4kg) and fully portable. The long battery life of 16 hours operation enables users to work in locations where there is no access to charging points with no need to worry their work will be cut short. The tough, durable case protects the sensor and sampling system from damage in demanding industrial conditions. As well as dew point in compressed air dryers, typical applications for the MDM50 include moisture measurements in medical gases, polymer chip dryers and instrument air.